Prior to the OBSL contest, the junior high final will tip-off at 6. Semi-final play wrapped up on Tuesday night, with top seeded and still unbeaten Brant/Asil (13-0) putting a stop to Team Chaos 71-53. The Mopeds took out the High School Ballers 67-50 in the nightcap. Last Friday’s quarterfinals were all blowouts, save for a tough, physical contest between Team Chaos and the Monstars. 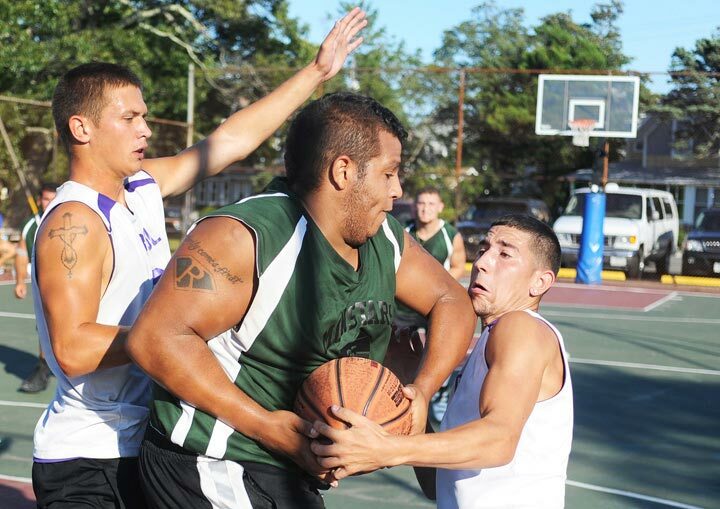 After a tight first half, Chaos reigned in the second period and pulled away for a 59-51 win.